I just had the good fortune to review a system comprising two cutting-edge Mark Levinson products – the No515 turntable and the No585.5 integrated amp. The No515 was fitted with an Ortofon Cadenza Bronze MC cartridge on its 3D-printed, Gimbaled tonearm. The high torque AC motor drives three belts that provide precise speed control. The deck also has excellent isolation properties and a full set of calibration controls. Crazy Rich Asians is the story of a New York economics professor (played by Constance Wu) who joins her long-time boyfriend (played by Henry Golding) as they travel to his hometown of Singapore for his best friend's wedding. MartinLogan is really stepping up their outdoor audio game with a new lineup of outdoor speakers they are calling the Outdoor Living Series. I had the good fortune to attend a launch event for MartinLogan’s new line of powered subwoofers. This event was staged at the Starpower shop in North Dallas. PSB M4U TW1 Earphones are all-new wireless in-ear monitors with the latest Bluetooth technology. They look strikingly handsome with a sound quality that is engaging and non-fatiguing. They are also very comfortable, secure-fitting, and water-resistant. The Legacy Foundation Subwoofer has dual 12” active drivers mated to a pair of 12” super long throw passive radiators. The sub is powered by an ICEpower® Class D amp that can pump out 30 amperes of current (1,000 watts power rating). The cabinet design is like a tower which maintains a small footprint. 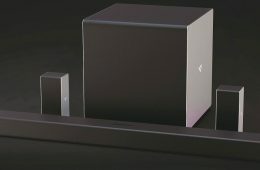 MartinLogan has made their name by developing high end electrostatic speakers. But they have been producing more and more dynamic speakers over the last several years. I just set up an amazing Mark Levinson audio system. The system includes the new No585.5 Integrated amp along with the No515 Turntable! 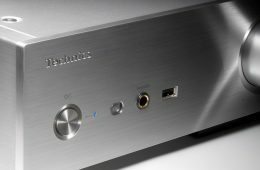 The fine people of Technics USA sent along an ST-G30 music server that I evaluated with my review of the Grand Class SU-G30 Network Audio Amplifier. MartinLogan just introduced an all new lineup of the ever popular Dynamo subwoofers. These new subwoofers incorporate a ton of new technologies that bring worthwhile improvements to an already excellent platform. Technics is a high end Japanese audio company known for building some of the greatest and most sought after products in audio history. Their products represent cutting-edge technologies with cost-no-object build quality. Technics products display all the merits of painstakingly designed and crafted components. This review will focus on their Grand Class SU-G30 Network Audio Amplifier. Jim Clements has been an audio nut since childhood where you could find him underfoot at his local high end store on most weekends. (This particular shop was within walking distance of Jim's home, much to the chagrin of the owner and his staff.) Jim's audio journey started early because he loved great music of all kinds. And he still does. Like most audiophiles, Jim was not particularly inspired by a vast majority of the audio systems he encountered. So his quest grew through his efforts to recreate a live listening experience in the home. This has proven to be a never ending quest. One major offshoot of all this is that Jim has become something of a cinema enthusiast as well. So now he's working on the video and surround sound conundrums too. Since perfect recreation of sound and video is a goal to be pursued but never attained, Jim derives his pleasure from the journey itself. He wants to help our readers on their own personal quests by reviewing products thoroughly and objectively. On a personal note, Jim is a Professional Engineer, licensed in California and Texas. He currently has his own engineering practice in San Antonio, Texas. Jim is also part owner of a small chain of craft beer growler stations in South Texas.